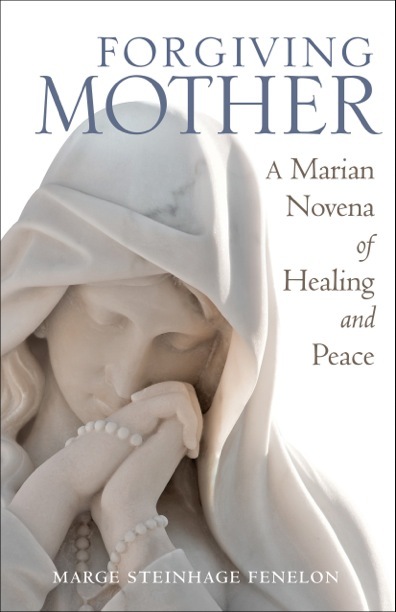 As of this writing, we’re just ten days away from the release of Forgiving Mother: A Marian Novena of Healing and Peace. Just ten days! That seems so far away and at the same time, so soon. Forgiving Mother has been growing in my heart and brewing in my mind for many years. The book itself has been at least two years in the making – from concept to completion – and I can hardly wait for the big day. It’s already causing a stir in some circles, and I’ve already been asked to do interviews with some really big names in Catholic media! I’ll be sure to post advance notice for all of them so you won’t miss out. I’m truly humbled (and, admittedly, nervous) about the amount of attention Forgiving Mother has attracted even before its release! In anticipation of the release, I’ll be posting a Forgiving Mother Pre-Release Novena on this blog. Beginning Wednesday, October 18 and ending Thursday, October 26, I’ll post the novena prayer plus an excerpt from the book. It’s my way of preparing for the big day, but also it is a means by which to encourage prayer for all those who suffer the wounds of having been raised without genuine maternal love. Perhaps that’s someone you grew up with. Or maybe it’s someone you work with or attend church with. Or, perhaps that someone is you. Please join me in praying the Forgiving Mother Pre-Release Novena. It’ll be easy to access – you’ll find it right here on MargeFenelon.com. Each day’s novena prayer will take only a few minutes and the excerpt will give you a sneak peek of Forgiving Mother. Books, Catholic Church, Forgiving Mother, Prayer, spirituality. Bookmark. Hurricanes, Wildfires, Floods: Marian Pilgrimage Finally Hits the Road Again! be able to say the novena with you?